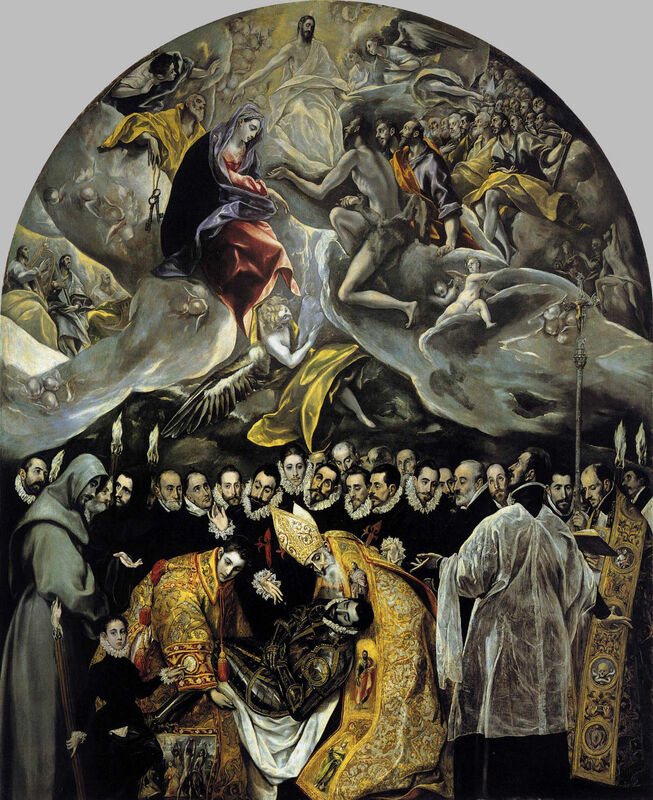 These words from El Greco (1541-1614) certainly were reflected in the influence his work had down through the ages. Many artists through the ages have appropriated his compositions and rendered them in their own original styles. Picasso, for example, was influenced by the elongated figures of El Greco. His View of Toledo is considered one of the first paintings solely focused on landscape, as well as the first cityscape. Below, you might be able to see a connection between it and Van Gogh’s Starry Night. 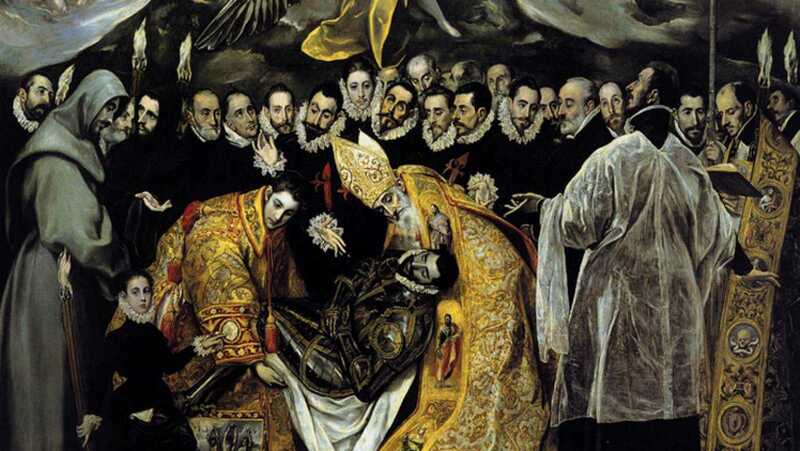 For myself, in the painting here at the top, The Burial of the Count of Orgaz, a massive painting that is about fifteen foot tall, I was struck by the gold clad figures (St. Stephen and St. Augustine) at the bottom who are lowering the dead aristocrat into his tomb. The colors and positions of the figures had me seeing them as figures in a Gustav Klimt painting. Looking at the detail below, I could see them as being influences on his The Kiss. I don’t know whether they were an influence, but it certainly jumped into my mind. If so, kudos to Klimt for translating it into his own original style that beats within his soul, as El Greco may have put it. And that is what influence should be. It is not trying to replicate, to copy, another’s work. It is in taking it in and synthesizing it using one’s own unique voice. I think every artist does this in some form. You just may not immediately notice it in the very good ones.